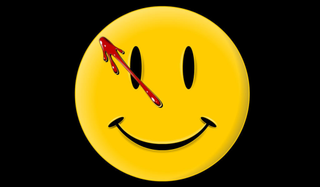 As a futurist, it’s my job to make predictions. But I absolutely hate timelines, and you’ll rarely find me making claims about when some specific sort of technological wizardry will make an appearance. Feasibility interests me more than dates on a calendar. But the fog is starting to clear on what we can expect to see within the next twenty years. All the technologies I’ve listed below have a better than 50/50 chance of being actualized. Some of you may complain that I’m being a bit conservative by not including AGI (artificial general intelligence), molecular assembling nanotechnology, hive minds, IA (intelligence augmentation), radical life extension, powerful spacecraft propulsion engines, useful quantum computers, mind uploads, or whole human brain emulations — but I just don’t see these things coming to fruition until much later. Last month, researchers created an electronic link between the brains of two rats separated by thousands of miles. I’ve been impatiently waiting for this one for quite some time now. Microsoft got the ball rolling on this concept with Clippy, the office assistant that proved to be more annoying than useful. More recently, Apple developed SIRI for its iPhone, an intelligent assistant that can respond to specific language cues and access the Internet. But this is nothing compared to what’ll be available two decades from now. Looking ahead, we can expect our personal assistants to fully respond to natural language, including colloquialisms and our personal idiosyncrasies. And owing to ubiquitous computing (which we’ll look at next), our personal assistants will be accessible to us 24/7. What’s more, these agents will exhibit an uncanny level of general intelligence. We’ll even be able to have conversations with them. They will know everything about us, including our behaviors, our tendencies, our preferences, and our typical ways of responding to certain situations. Accordingly, they’ll be our virtual clones. In essence, they’ll be our proxy selves, representing us on the Internet and in the real world by taking the form of telepresent holographic avatars. They’ll write emails for us, book appointments, perform menial thought tasks, and even anticipate our needs. Of course, we’ll still be responsible for the decisions they make on our behalf — so we’ll need to be careful about the degree of autonomy we give our mind clones. As noted, ubiquitous computing — also known as “pervasive computing” and “everyware” — is coming. Already today we have computers in our cars, our phones, our toys, and even our fridges. But they’re still very obvious. We often have to hold them. Or use keyboards to input information into them. Image: The sensor-laden pilates shirt called "Move" designed by Jennifer Darmour. These devices, however, are getting steadily smaller owing to the miniaturization revolution that’s in full swing (e.g. the shift towards microelectromechanical systems, or MEMS). In short order we’ll be living in aRainbow’s End world, where information processing devices will be virtually everywhere, but completely invisible — absorbed into our surroundings. These computers will be in our clothes, our fashion accessories, and even in our contact lenses. And to use them we’ll use natural language and haptic technologies (i.e. tactile feedback). Or better yet, these devices will be endowed with a certain level of “ambient intelligence” to help them perform autonomously under specific conditions. So by the 2030s we’ll be completely surrounded by computers, but utterly unaware of their presence. Whole brain emulations of human minds are quite a ways off, and likely won’t appear until the second half of the 21st Century. But in the stage leading up to this we’ll be able to emulate the brains of much simpler organisms. 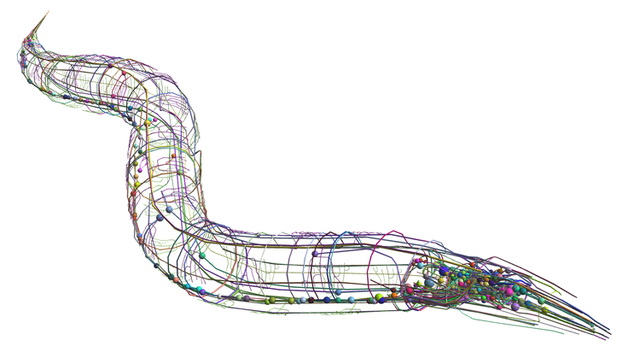 Already today there’s the OpenWorm project, an effort to digitize the brain of a nematode worm. Within the next two decades, we will most certainly be able to emulate the brains of other organisms, like ants and bees. And who knows, by this point we might even be able to start emulating the brains of simple mammals, like mice. But by virtue of doing so, we will have created virtual animals who essentially “live” inside a computer. And someday, perhaps even by the 2030s, these digital brains will be uploaded to robotic avatars. The effects of climate change are getting increasingly hard to ignore, whether they manifest as superstorms, historically low levels of sea ice, rampant wildfires, or record temperatures. Whether we like it or not, we will embark on geoengineering projects in the near future. And indeed, the conversations have already started. Take, for example, the 25 scientists who recently declared that the time has come to start working on actual geoengineering solutions to reverse the effects of rampant carbon emissions. 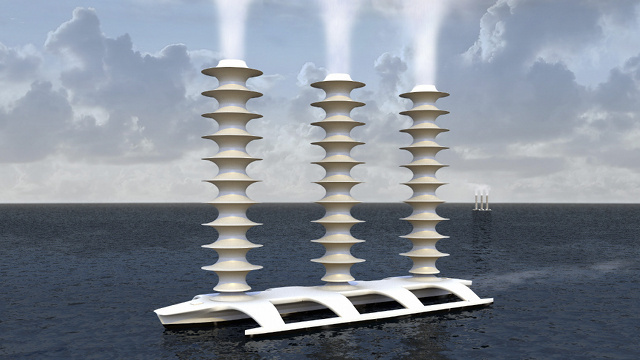 Their particular solution is cloud whitening — the seeding of marine stratocumulus clouds with copious amounts of tiny sea water particles. They’re pretty much ready to get started, but they’ll need international support to do it legally. Others have even started to do it illegally. This one’s fairly straightforward, but no less profound. Someone from Earth will reach Mars by the early 2030s — whether it be private enterprise or a government agency. At least we freakin’ hope so! But regardless of who gets there first, one of the first things they’ll do is set up an Internet connection with Earth. And why not? The explorers — or settlers, if they’re part of theMars One project — will both want and need to access and share information. Oh, and they’ll probably want to purchase something while they’re there when supplies run low. There are a crap-ton of products on the market that claim to be “anti-aging,” but each and every one of them is either cosmetic or a total scam. There is nothing available right now that can either slow down or reverse the effects of aging, not even resveratrol pills or rapamycin. But this is set to change by the 2030s. Futurists and gerontologists aren't entirely sure what form this intervention could take. It could be a genetic tweak, not unlike the one Cynthia Kenyon performed on roundworms to extend their lifespans by more than half. And indeed, there are efforts currently underway to map the genetic constitutions of supercentenarians to isolate the factors that make them so robust. It might involve therapies to restore the length of our telomeres, or replenish our mitochondria. Or it could draw from any number of experiments currently being conducted on mice. 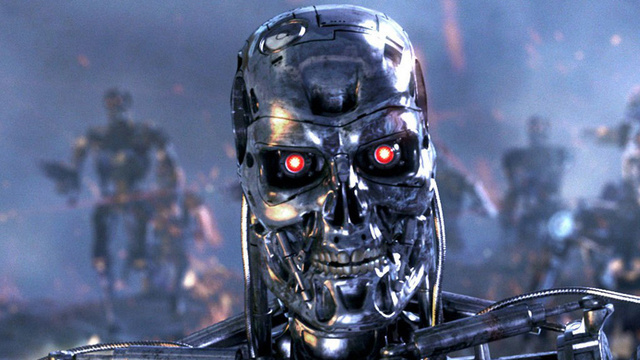 The rise of autonomous killing machines is a grim and frightening prospect, but it’s virtually guaranteed to happen. We already have various levels of autonomy in a number of weapons systems, including cruise and patriot missiles. The Aegis Combat System, which is found aboard naval ships, has an autonomous mode in which it uses powerful computers and radars to track and guide weapons to destroy enemy targets. There’s also Samsung Techwin's remote-operated sentry bot — which is currently deployed in the Korean DMZ. And the U.S. packbot/REDOWL system could be easily modified to take out snipers on its own. Despite calls to halt the development of machine-soldiers that identify and kill without human input, military leaders will not hesitate to use a robot when a human life can be spared. What’s more, these machines will eventually exceed human capacities across a number of physical and cognitive domains. They may also be developed as part of a pending arm’s race. We are in the midst of the biotechnology revolution, the benefits of which are finally starting to appear. Personalized medicine will emerge in the coming decades, where physicians will be able to prescribe medicines tailored specifically to our genetic constitutions. Biologists are also exceedingly close to being able to generate differentiated tissue from our very own stem cells. This will eventually allow us to grow our very own organs, including the heart — no donors needed, and with virtually no chance of rejection. These biotechnologies may work in tandem with additive manufacturing. Scientists recently 3D-printed a cybernetic ear that utilizes embedded electronics. We may even be able print human embryonic stem cells and synthetic tissue. These printers have already been used to produce a fully functional artificial cochlea and splint. Oh, and the day is coming — most certainly by the 2030s — when we can grow and/or print artificial meat. Okay, maybe not every home — but it’s certainly poised to be the kind of thing that may be as ubiquitous as DVD players and traditional 2D printers are today. And there’s very little doubt that 3D printers are poised to be as disruptive as the techno-cognoscenti are predicting. Indeed, the ability to produce our own products in our very own homes will upset traditional models of manufacturing. At first, we’ll have to pay for these items to download the specs. But eventually, owing to the open source movement, many of these items will be shared and available for free. And in addition to day-to-day items and electronics, these printers could generate handguns(which is not such a hot idea), vaccines (we won’t have to leave our homes to get inoculated during a pandemic), self-assembling robots, and androids. And eventually, these printers won’t need human guidance at all. Industrial-scale desalination is poised to make an appearance by the 2030s. Owing to advancements in solar power, namely the development of affordable and scalable photovoltaic cells, we will be able to build massive concentrated solar power plants (CSPs) that utilize the residual heat to strip ocean water of its salt. Experts predict that the growing freshwater deficits could be increasingly covered starting in the 2020s, and possibly as late as the 2030s. The spread of CSP desalination plants will likely reduce non-sustainable water supply and inspire the development of most of potable water production by the year 2030 and afterwards. 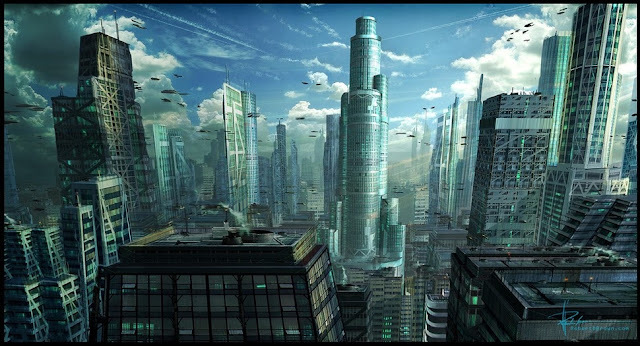 Future city concept art by Robert D. Brown, via CG Hub. AI: carlos castilla/Shutterstock; cloud seeding via plantsciences.ucdavis.edu. Advocates of human enhancement often say that we ought to increase our intelligence as a species. But the consequences of actually doing this have never fully been explored. An excessive amount of intelligence might actually prove to be a bad thing — and a distraction from what really matters. Top image: The supremely intelligent Ozymandias from The Watchmen. Credit: Warner Brothers. To learn more about this potential transhumanist misdirection, I spoke to two experts who have given this subject considerable thought: Theoretical neurobiologist Mark Changizi, a developer at2AI Labs and author of Harnessed: How Language and Music Mimicked Nature and Transformed Ape to Man, and philosopher and ethicist Mark Walker, Assistant Professor and Richard L. Hedden Chair of Advanced Philosophical Studies at New Mexico State University. 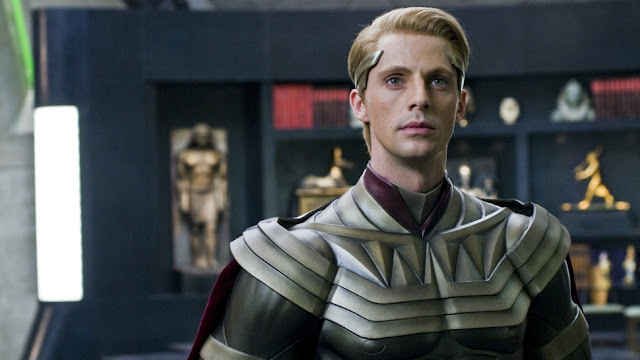 Indeed, the fetishization of intelligence has reached epic proportions in some futurist quarters. Aside from radical life extension, transhumanists almost always list off cognitive enhancementas the single most important tweak we could give ourselves. Already today, before we’ve even developed any meaningful interventions, enthusiasts are finding ways to boost their intelligence using whatever's available. But as Changizi and Walker told me, “intelligence” isn’t just some easily identifiable thing that we can just boost willy-nilly. There are many other types of intelligences that are often discounted, as are other worthwhile enhancements — such asmoral enhancement, increasing empathy, ordeveloping designer psychologies. Moreover, an excessive amount of intelligence could be quite detrimental to the individual, resulting in maladapted, anti-social, and even psychotic individuals. And potentially worse, we might just end up being even more deeply integrated within the superstructure, serving as computers that feed the machine. The reason for cutting to this narrow conception of intelligence, says Walker, is that it’s all-too-often seen as a universal tool. Changizi brought up a related point, saying that we tend to use "intelligence" to refer to the sorts of things the brain is not too good at, like chess and logic problems. Changizi says that when we're naturally good at a task — like one we evolved to do (e.g. an instinct), or a task that's culturally evolved — we don't tend to notice the talent at all, and are less likely to label it with the term "intelligence" in the first place. “We're also likely to not be aware of what our brain is doing,” he explains. “These are the seemingly boring, unintelligent tasks, such as getting to work on time despite the dozens of constraints, or showers, trains, kids, caffeine, tolls, and so on — or like knowing what to say, and with what tone to say it. Changizi also says a similar moral can be made using autistic savants. Walker, who is the author of Happy-People-Pills For All, agrees, noting that people who lump intelligence into a super-narrow category of cognitive traits are grossly oversimplifying the issue. But because lots of people think about enhancing intelligence along this narrow domain — like being better mathematicians, physicists, or programmers — it’s becoming something that’s intrinsically valued. Walker worries that people could become fantastic at physics and math, but end up lacking in the right kind of virtues. They could use their intelligence for evil ends, or perhaps become pig-headed or supremely self-confident. 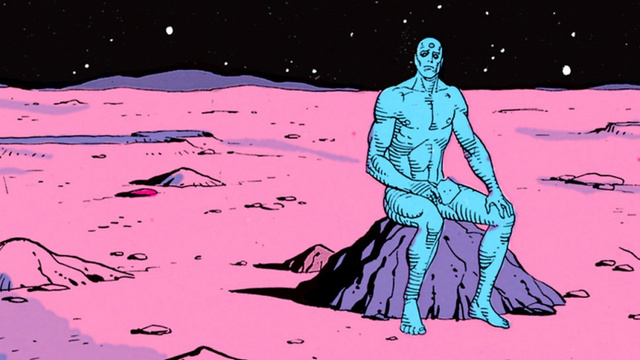 There’s even the potential for social detachment — akin to Dr. Manhattan’s struggles in the Watchmen and his inability to relate to “normal” people. I asked Walker if we run the risk of creating maladjusted, or even psychotic individuals. I used the example of the mathematician John Nash who, in conjunction with his schizophrenia, identified patterns where there were none. I expressed my concern that our brains are not adapted to high levels of IQ-type intelligence, and that enhanced individuals might likewise get caught up in obsessive behaviors and get lost in the ocean of their thoughts, buried in the minutiae of what’s being observed. Intelligence, as it has been said time and time again, does not necessarily correlate to well-being, happiness, and so-called success at life. Changizi brought up a similar point. Once obsessed with intelligence in the IQ-type sense, argues Changizi, one is thereby handicapped at seeing intelligence almost anywhere beyond human and perhaps some close ape relatives. I asked Changizi about human enhancement in general, and where our attention should be focused. “Well, there’s my own Human 3.0 view, in which I make the case that any enhancements that truly take off will be ones that closely harness our brains' natural instincts — that's the only way to coax the brain to do new things brilliantly — and in this sense I deem even writing, speech and music as "enhancements". Changizi suspects that the enhancements we’ll not want will generally be chess-brain-teaser-like-intelligence, but rather enhancements that let us unconsciously navigate new sorts of modern terrain, all-the-while seeming to the brain to be typical old evolutionarily familiar terrain. I asked Walker the same question. Like Changizi, Walker says that we already have these characteristics in our genome, and that we don’t necessarily need to radically enhance people to have twice the emotions. We just need to lift everybody up so that they’re equivalent with the happiness giants who are already up there now.